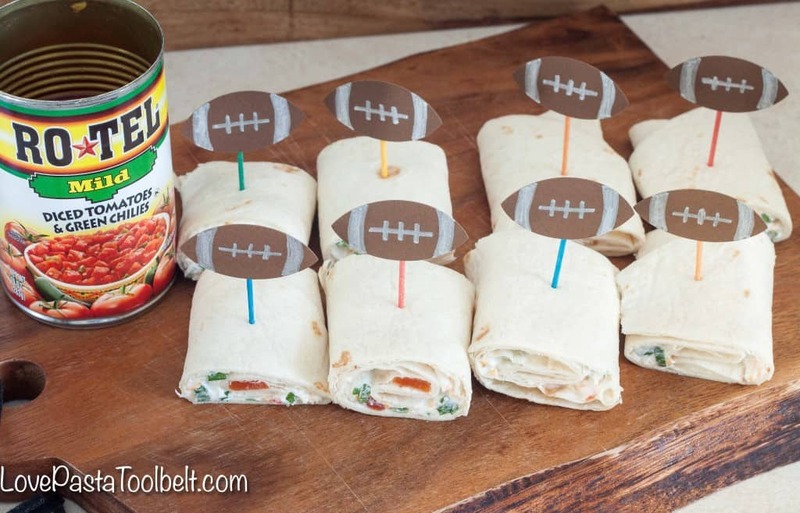 Prepare these Game Day Tortilla Rolls ahead of time for a great appetizer! There are so many big games coming up; from football to basketball there is a lot to watch. I am always trying to come up with new recipes for you guys to serve for your game day parties. My in-laws will be in town for one of the big games, so I definitely want to make sure that I have some scrumptious food to serve since my husband and father-in-law are so excited about their team making it! I also want to make sure whatever I make is simple and can be prepared ahead of time so I don’t have to spend the day in the kitchen, I like to watch the game too! I really think the fundaments of any game day food are some canned goods, fresh ingredients and some quick tips to make everything easier. 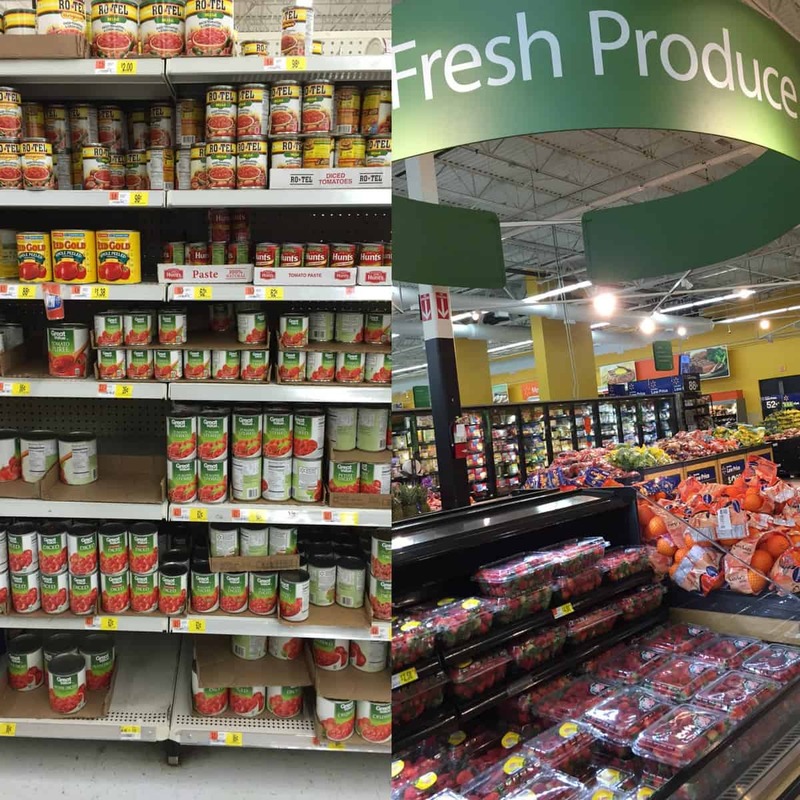 I headed out to Walmart to pick up everything I would need for my recipe for Tortilla Rolls. 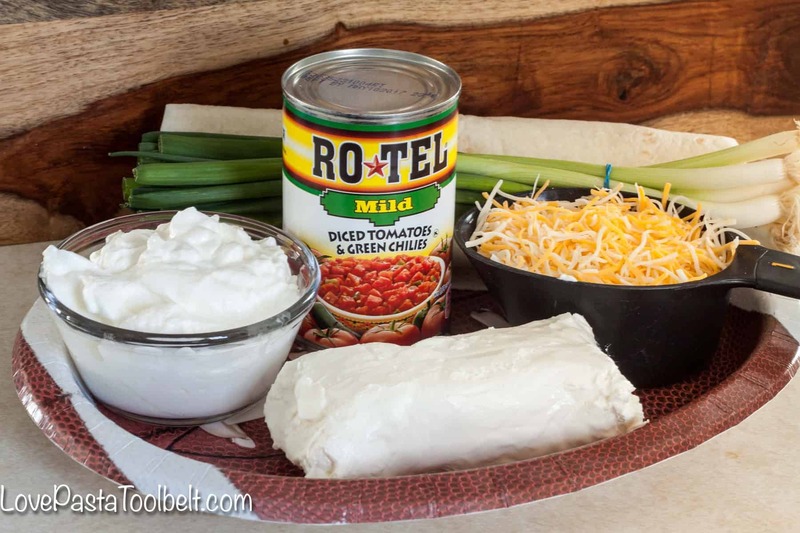 I grabbed some mild Ro*TEL, some green onions from the Fresh Produce department and the rest of my ingredients. 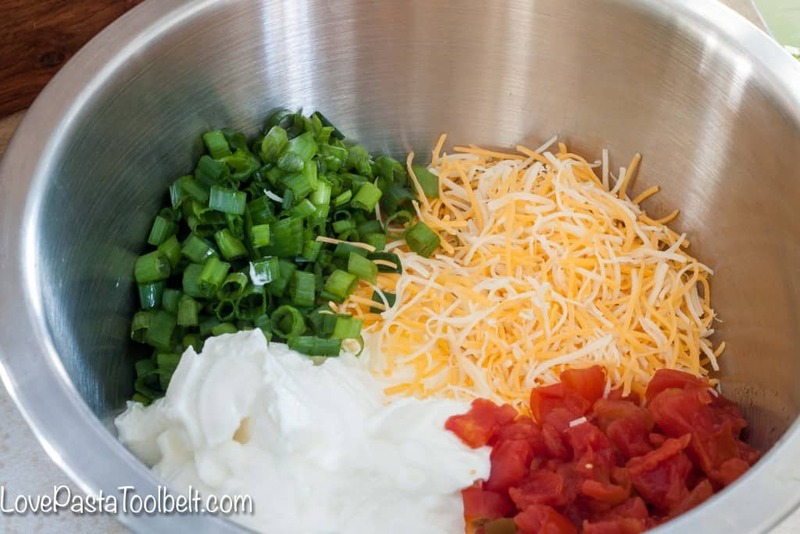 Making these Tortilla Rolls was so simple and I have a couple kitchen hacks for you to make it that much easier! First start with gathering all of your ingredients. Once they’re all gathered you’ll want to mix all of your ingredients together, minus the tortilla’s of course. Take one tortilla and spread some of your mixture on it. Hack #1– When you’re rolling the tortilla, double roll it. 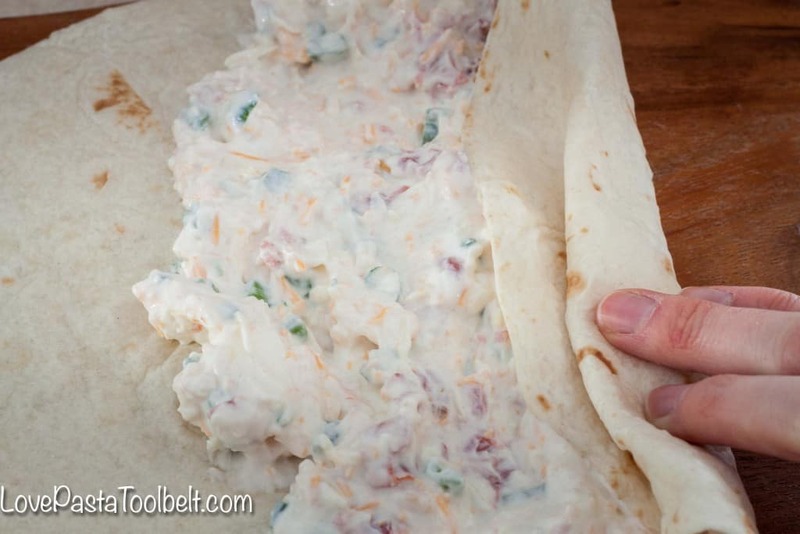 You’ll do your first fold over then take that portion and fold it over itself again. This makes sure that your tortilla stays rolled up. Once rolled up you will want to slice it into four pieces. 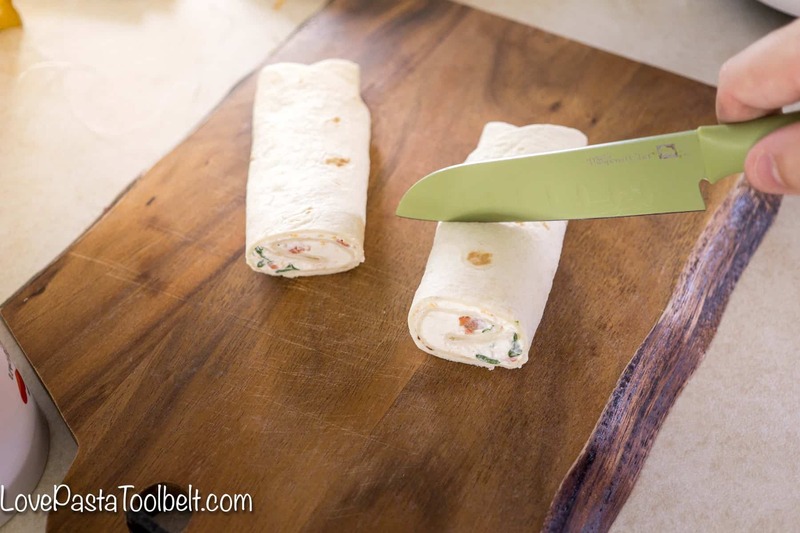 That brings me to Hack #2– You want a well sharpened knife for cutting these tortilla rolls. You want it to cut smoothly so everything doesn’t come falling out when you cut the tortillas. So take a ceramic coffee mug (thats important, other types of mugs wont do) from your cabinet and turn it upside down. 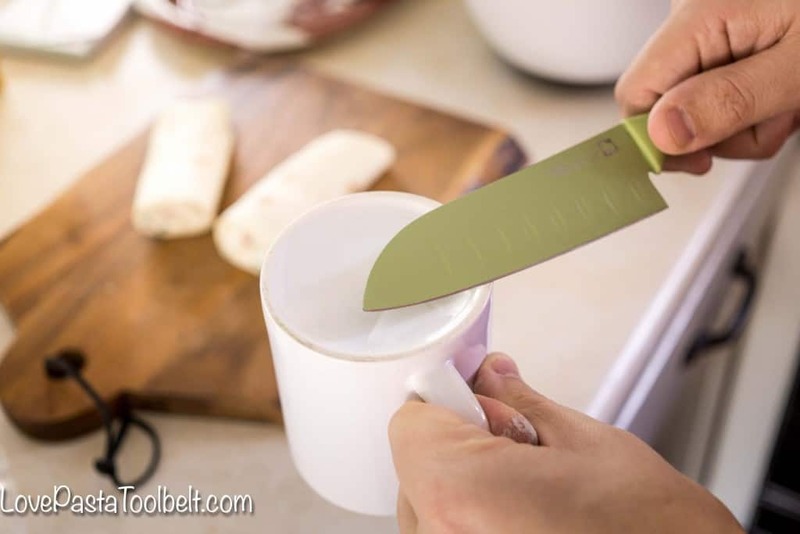 Then proceed at around a 20* angle to carefully sharpen your knife drawing the blade across the rim of the mug on both sides of the blade. 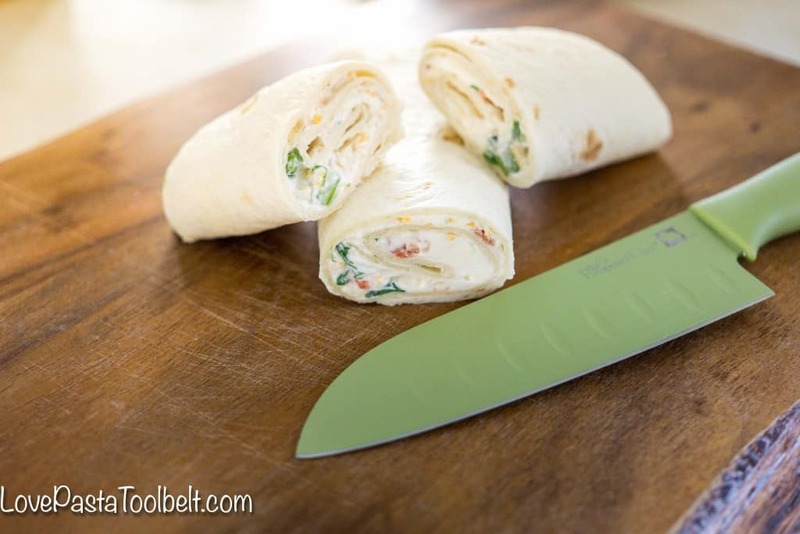 This will help your knife to be freshly sharpened and make a clean cut for your tortilla rolls. Its a quick way to add an edge to your knife and couldn’t be easier! Use toothpicks to hold your tortilla rolls together. 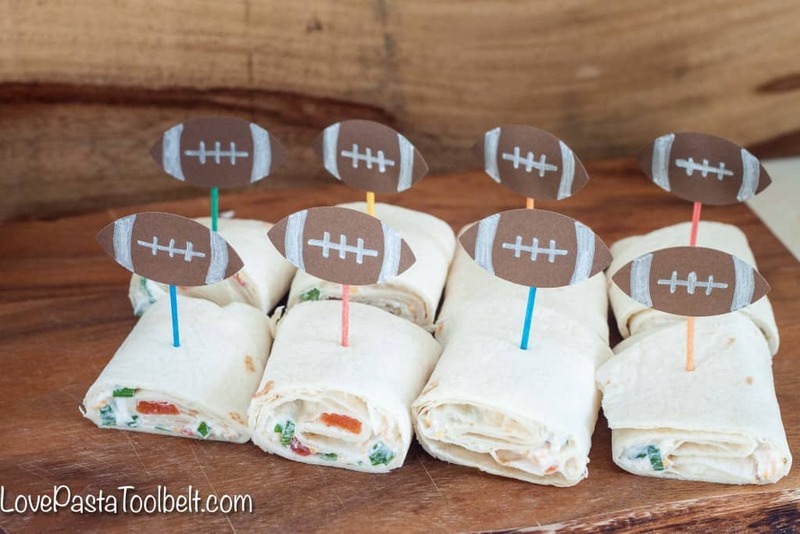 I used my Silhouette to make these cute football’s in order to add some fun to my spread. All I did was download a football design, shrink it down and then cut the design onto brown paper. I used my sketch pin to sketch the outline of the laces on the football but that isn’t necessary. I then proceeded to use a silver sharpie to fill in the laces. After that I taped the footballs to the toothpicks. 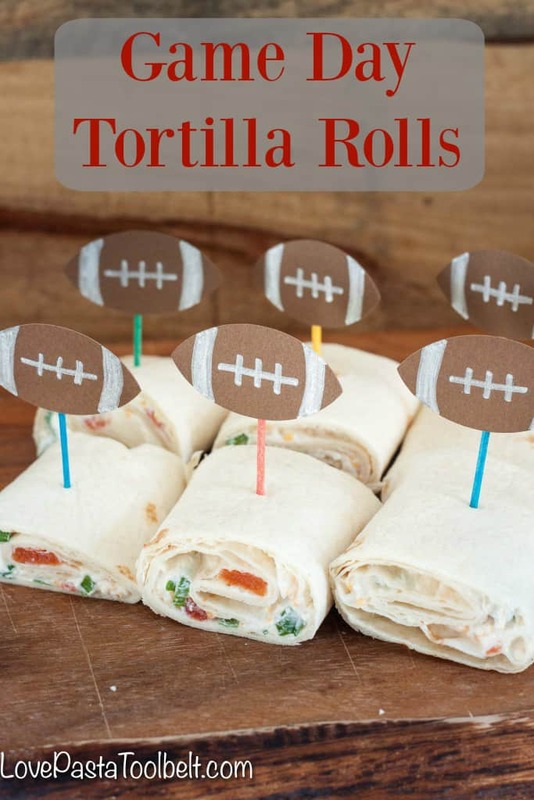 It was easy and such a cute way to add some game day fun to my recipe! I would love to hear what kitchen hacks you have to make your game day prep easier? Yum! This would make watching the game totally worthwhile.